THE REGISTRATION FOR FUTUREPRINT IS OPEN! In its 28 years of history Serigrafia SIGN FutureTEXTIL tracked the evolution of printing and visual communication segments, bringing brands and main launches to the market, as well as promoting important content for the training of visitors and the professional qualification in the sector. And today we take another step towards this evolution, expanding the value proposition of our event to deliver more to our exhibitors and visitors. 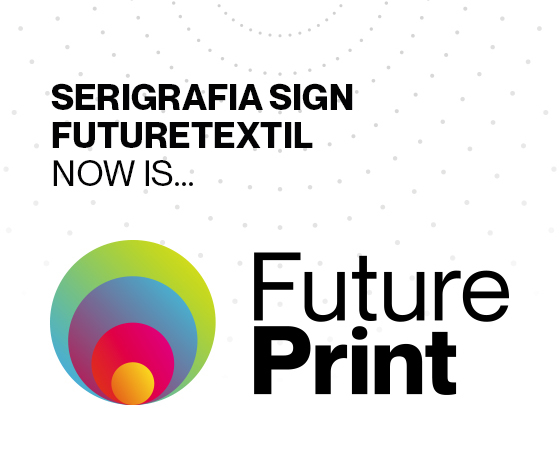 Future Print comes as an evolution of Serigrafia SIGN FutureTEXTIL. We still are the same event, but with a greater focus on people, innovations, value delivery, dialogue with new ideas and generations, strategic commercial relations and active operation in the development of the markets we serve.More than business, we are experiences. More than a trade show, we are a community. We invite all of you to continue to write this beautiful story with us!